Hi everyone!! I'm sooo happy to tell you that I'm back after almost an entire month of college exams! Before going to the barn to ride my sweet Gali, I want to sit down and write a blog post. I missed doing it so much during these past weeks that I can't wait any longer, specially because I've wanted to introduce you this app for a while now! 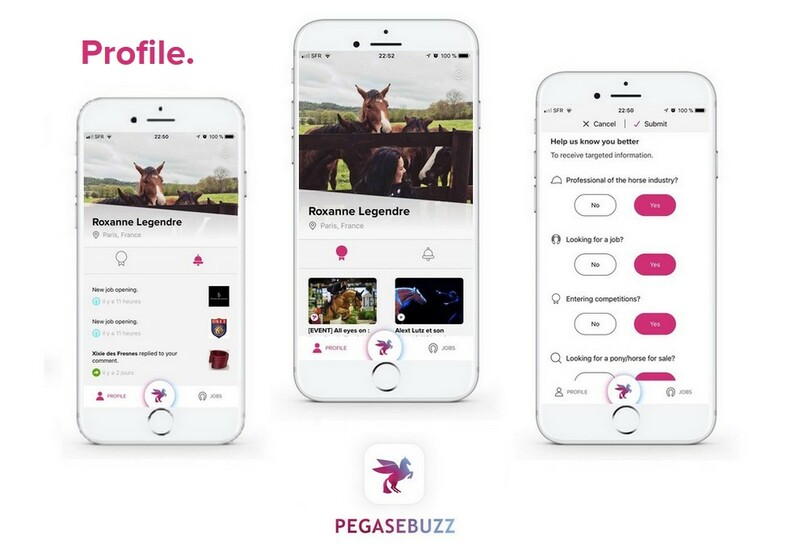 A few months ago, just after I met her in Paris, I discovered that Roxanne from PegaseBuzz - one of the first equestrian blogs I started reading - was launching an extension of her blog, an app for equestrians. Of course I downloaded it! It was a big surprise and a relief that I didn't have to worry with it being written in French as there is an English version as well! From the taylor-made feed (when you create an account, the app immediately asks you what are your interests) to the job offers section, I feel it has been one of the places I visit the most when I want to know what is going on. In fact, my absolute favorite feature is precisely the job offers section, I always enjoy reading the new offers because although I'm not looking for a job at the moment, it obviously makes me dream about my future job. 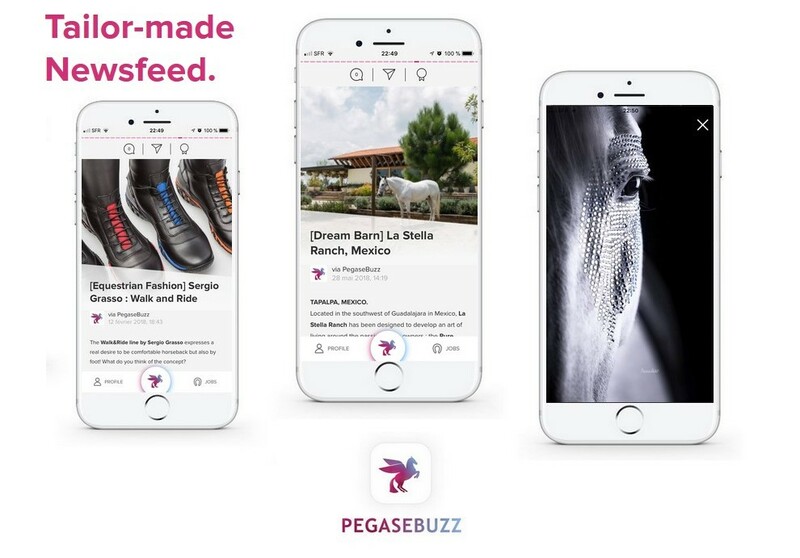 Launching an app is such a big thing but making it look this good must be even harder. Big congratulations, Roxanne!!! 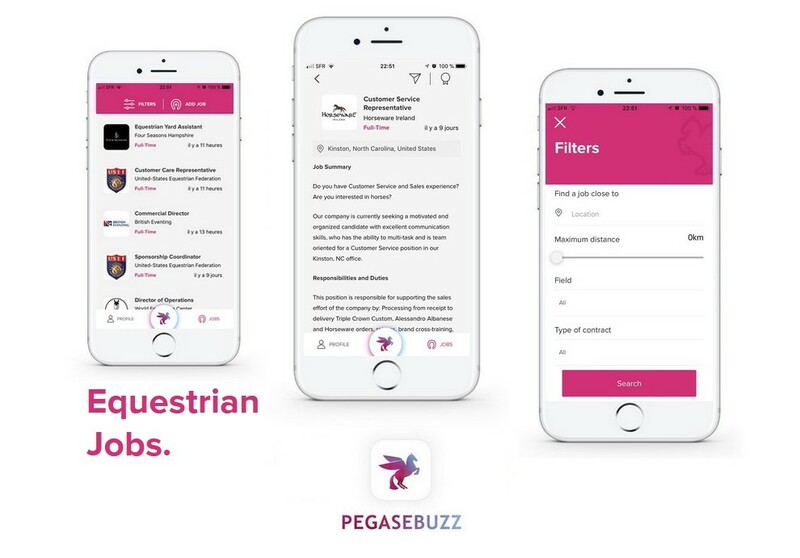 The PegaseBuzz app is free and you can download it on both App Store and Google Play.